This new book on worship by renowned hymn writer and professor Ruth C. Duck provides theological foundations for worship and explores the variety of ways Christians have adapted worship to various cultures to help them live faithfully and to communicate the Gospel to others. The author celebrates the many languages and cultural settings in which the Gospel has been, and is, preached, sung, and prayed. Rather than offer prescriptive formulas or advising a single pattern of worship, the goal of this volume is to support good pastoral and congregational reflection on what worship is and does. Consequently, she discusses many different forms of worship from several cultures (African-American, Asian, Euro-American) and offers advice on how to read a congregation and define its culture in order to plan culturally appropriate worship. In addition to looking at mainstream and historical worship settings, Duck also addresses a ministry of the arts in worship including music, movement, and visual arts that is becoming more popular in today’s churches. 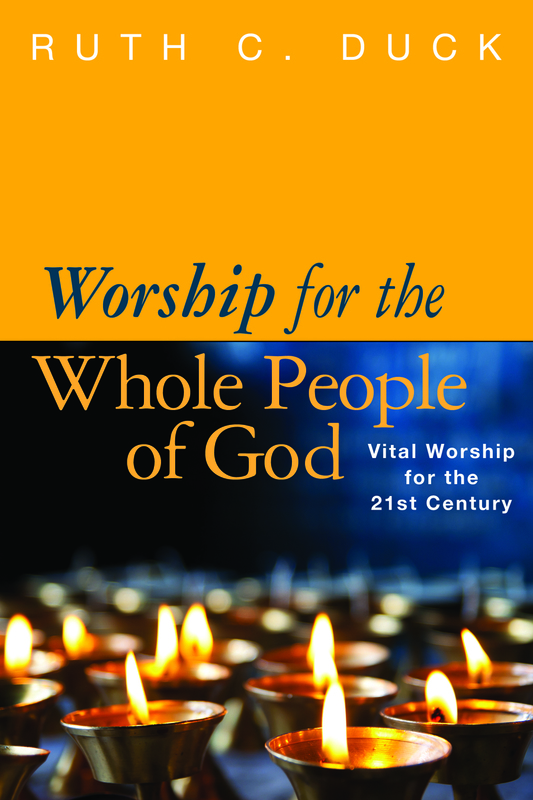 From worship’s theological underpinnings, the book turns to worship leadership, various liturgies, forms of prayer, preaching, the sacraments, and ordination. This complete book on Christian worship is sure to become a core textbook for seminaries and ministry students from a variety of cultures and traditions in the years to come.